For all the outdoor adventure enthusiasts, camping remains one of their favorite ways to escape into the wilderness of nature. Sometimes their love for camping takes them to those less traveled and secluded areas which are rarely explored and sometimes the unpredictability of nature allows for a whole new experience, adding to the adventure. But amidst all this, safety and comfort are the two important factors that should be at the top of your priority list as it can make your camping experience either a great time out or an absolute spoiler. Isn’t this the reason why almost every time before you go out camping you spend hours in planning, packing and preparation? You make sure that you don’t miss anything out. From tent to sleeping bag and from shoes to headlamp – you make sure you are equipped for the obvious and also for the uncertain, at least to some extent. 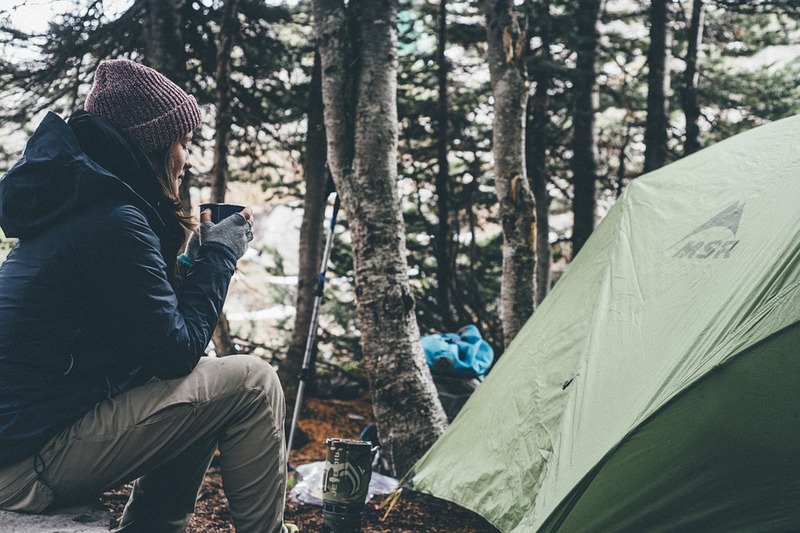 Being prepared will help you enjoy a good camping trip, instead of being miserable, but these tips should help you out in a crunch. But then, despite all the preparedness, there are times when something just slips out of your mind and you forget to bring it along in your kit, or it so happens that something doesn’t cross your mind and you realize it only when it’s too late and you are already in a situation. No matter how experienced you are, or how careful you have been while packing and preparing, there will always be a time when you are too late to realize that you are missing on something which is so basic and essential to camping. Imagine, you are out there in the cold and it starts to snow, you reach out to your bag only to open it and find that the down jacket you had planned to bring for a situation like this is still there waiting to be picked out, hanging in your wardrobe. You left that for the last moment and in your excitement and rush you forgot about it all this time. This awkward and sudden realization of missing out on something essential can make you stressed, push you into an uncomfortable zone and ultimately spoil all the fun you were supposed to have. Also there are times when your plans related to camping are so spontaneous that you hardly get enough time to plan and purchase all the essentials. Forgot your camp stove and propane tank? 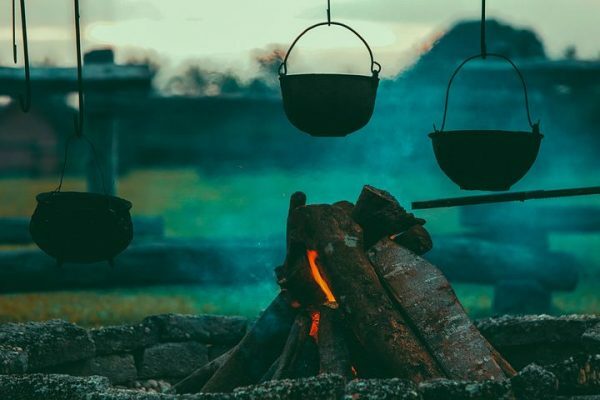 Make a fire of dry twigs and wood, and cook a hearty meal the survivor’s way. Your food may just turn out to be yummier, while giving you an experience you’ll never forget. Spontaneity does make your camping experience more adventurous, but that may come with a price of compromising with some essential gear. Moreover, while trekking, it might get so strenuous that your body starts demanding to shed some weight and you have to part with some of the things you packed and need when camping at the end of the day. It is in these situations that one has to know the art of camping even when they are missing essentials. 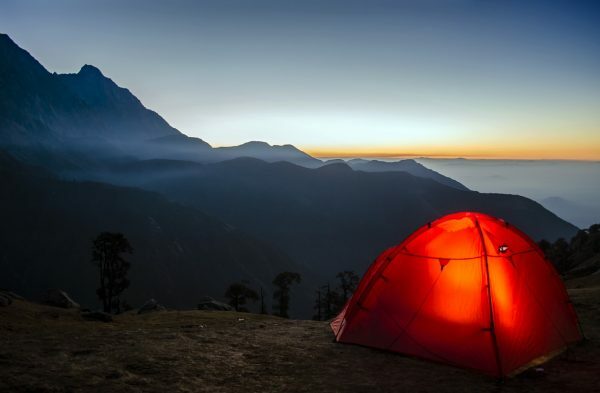 Before I start with how to camp comfortably while lacking essentials, it is important to understand that camping is adventurous because it is “survival” – survival with alternate means of maintaining safety and comfort. And when we talk about alternate means, we should know that the alternate means are not limited only to our regular camping gear. There are substitutes which can serve the purpose almost equally well if not better than essential piece of kit you left behind. The most important thing is to know these alternatives, as this will save you the panic, stress and discomfort that you are likely to experience. You may have just about everything else, but if your jacket is hanging in your closet, then you needn’t worry that you’ll freeze, as long as you’re wrapped up in layers that will act like insulation, keeping you warm. Now, let’s go with the situation we talked about earlier. How could you keep warm when you open your backpack to see that you don’t have your down jacket and it’s already freezing? Being cold is a very uncomfortable feeling and one of the best ways to stay warm is to wear your clothes in layers. Make sure you wear a top or an inner and then a full sleeve shirt. You can wear a jumper or fleece on top of it and finally a wind cheater to keep your body heat from escaping. Wearing layers will definitely keep you safe from the dropping temperatures even if you don’t have that down jacket. Moreover, it is always advised to keep as dry as you can. It is often possible that after hiking when you get to camp your body is still be wet because of sweat. Always remember that the drier you are, the warmer you will be. 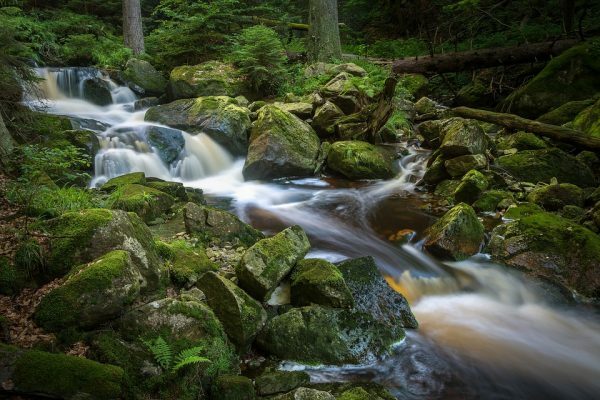 Streams and other sources of running water is what you need to look for if you have forgotten your stash of drinking water. It is quite often that camping sites do not have access to clean water and you don’t have any squeeze filters or ultra-violet filters to purify the water. If you find yourself in this situation, the best thing you can do is to look out for any source of running water. It can be a stream, waterfall or a flowing river. Make sure you take the water in a jar and allow the particles in it to fall as sediment to the bottom. If you have an option to boil it, you are good to go. If not, let the sedimentation take place and then drink the water on the top. Always avoid any kind of stagnant water. You may have made a plan with your friends and then realized that you don’t have a sleeping bag to yourself. No worries, as there are ways you can keep yourself warm without a sleeping bag. Use a plastic cover or a piece of cloth as an insulating layer between the ground and your sleeping mat. This will help stop the heat from escaping, keeping you warmer during the night. Next, you should make your bed in layers with all that you have to wrap yourself with. 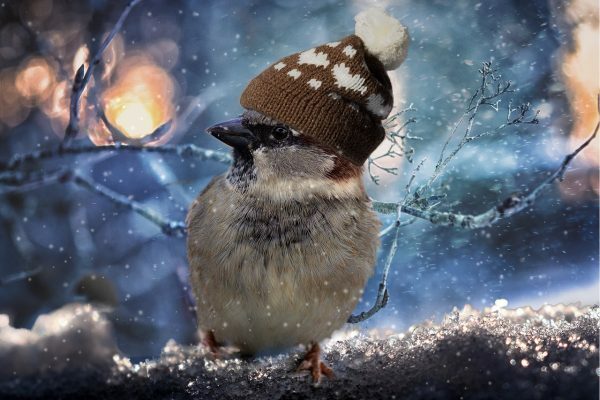 Remember layers are the most efficient way to keep warm. Lighting some green twigs will create a smoke screen that will deter mosquitoes. Out in the wild and under the sky, it is quite likely that if you are not well protected, mosquitoes may turn your nights under the stars into a total nightmare. The most natural way of repelling mosquitoes is by making smoke. Light a small piece of wood but don’t let it ignite to the level that it has flames. 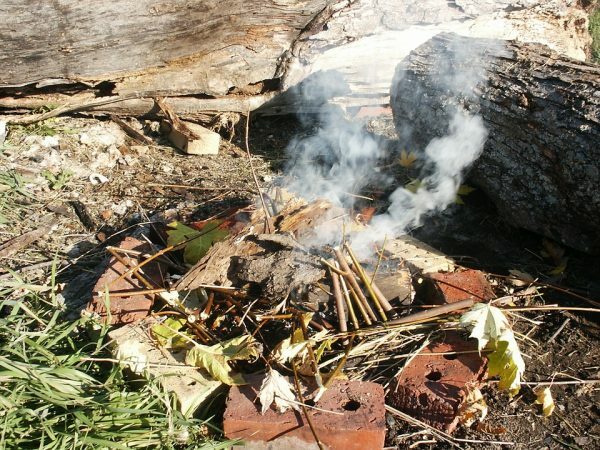 Try to burn some wet twigs that would create relatively more smoke. Once the smoke fills your camp and the mosquitoes are out just seal the tent and open the ventilation vents for air which is typically located on the sides of your tent. There could be many more unpredictable circumstances as nature is a force unto herself. But there are ways to survive and make it safe. It’s always good to make sure you have the right equipment and gear for camping prior to leaving home and being prepared is key to having a good camping trip.